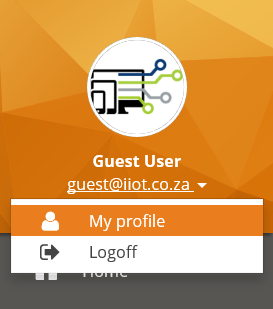 iIot provides basic support for all products purchased through the website. 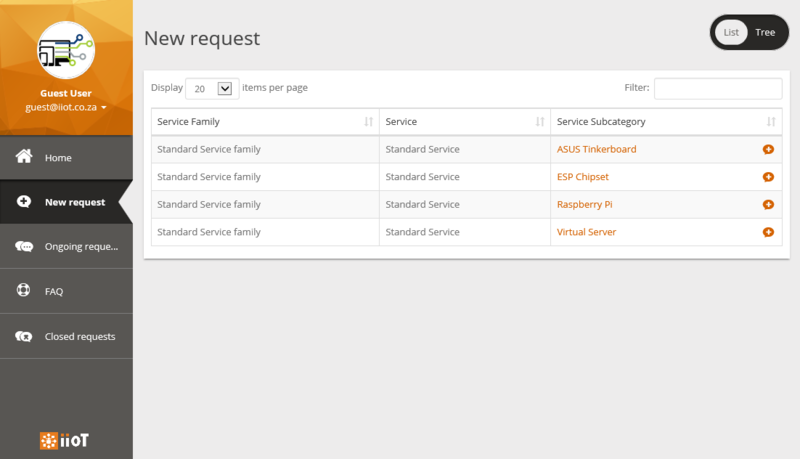 The enhanced customer portal is used by customers to easily create and track user request and incident tickets. 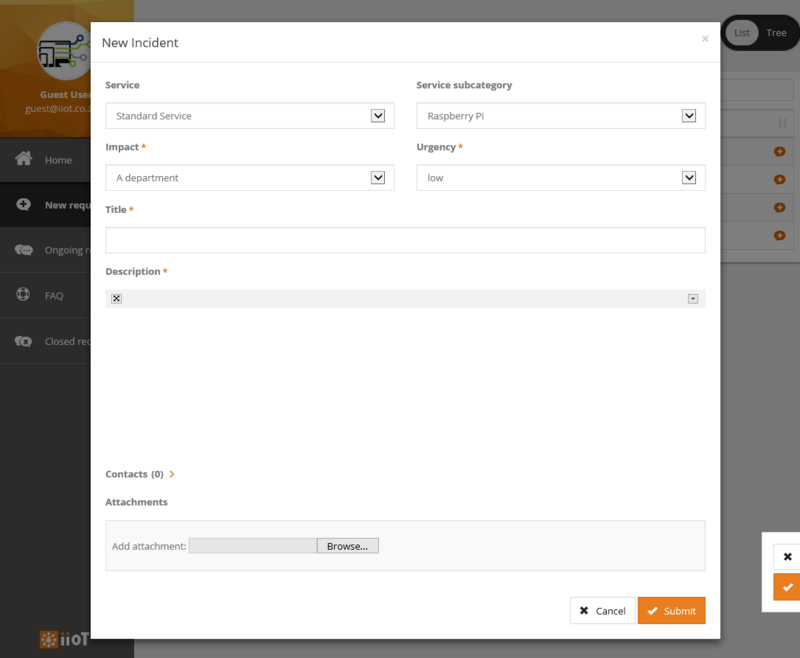 The portal provides simplified interface to manage such tickets. 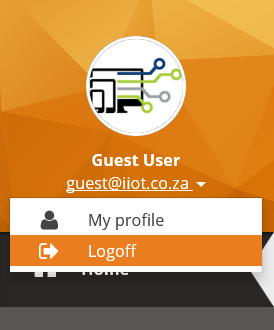 Should you wish to get a login to this helpdesk please send an email to helpdesk@iiot.co.za, once you recieve your login credentials then read the instructions below then Click Here to go to the support portal. 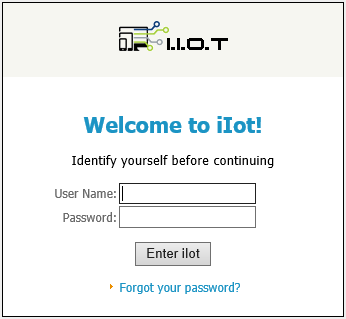 The first screen displayed by iioT is the login screen, Welcome to iIot. 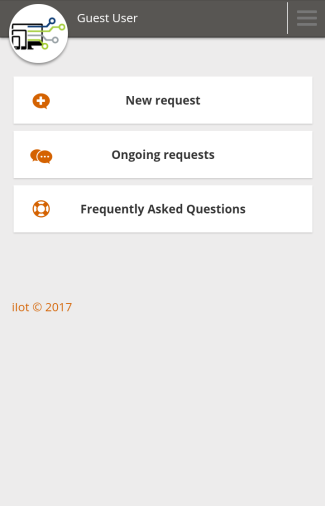 Each iIot customer must be identified before accessing the application. Login credentials are supplied by email following each new registration and purchase so please be sure to use valid details when initially registering with this store. 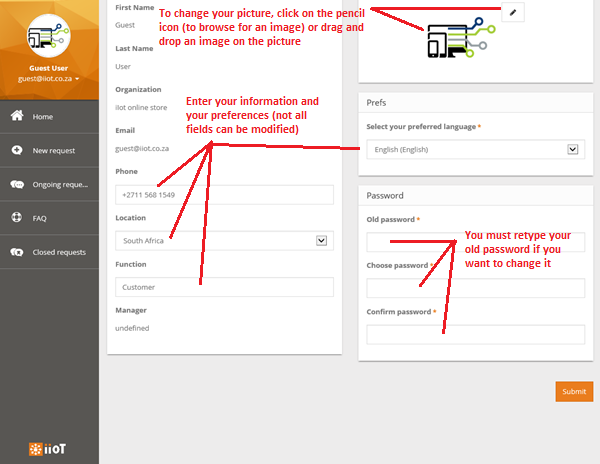 Enter your User Name and Password given by your administrator, and click on Enter iIot. 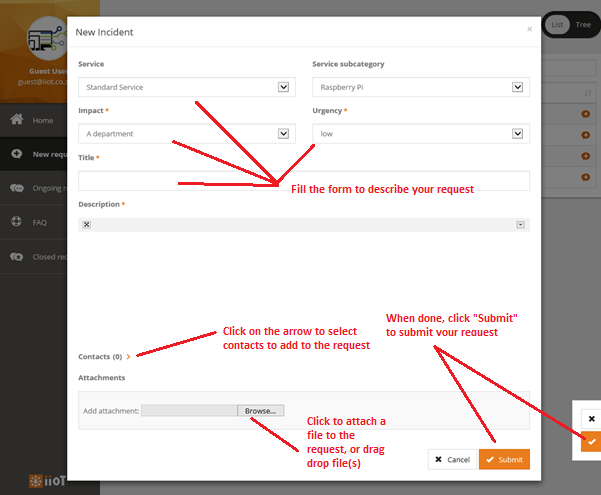 A form is then displayed as a modal dialog. 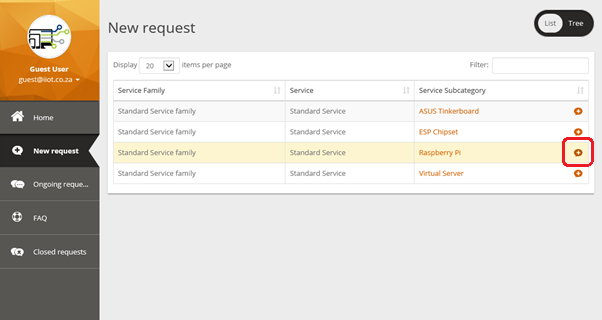 Fill the form and click “Submit” to submit your request. 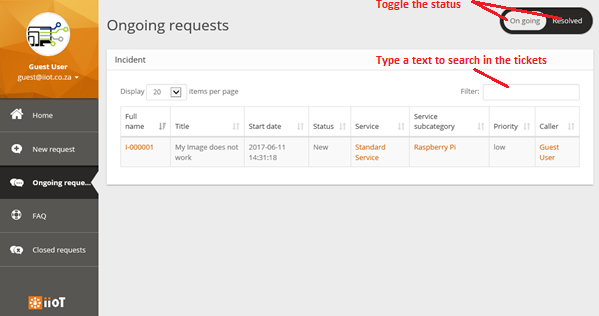 You can attach documents to the request by either dragging or dropping them in the form, or by using the “Browse…” button in the “Attachments” section of the form. 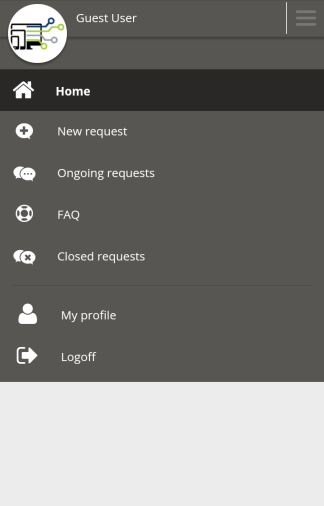 When a request is not closed, it can still be updated. 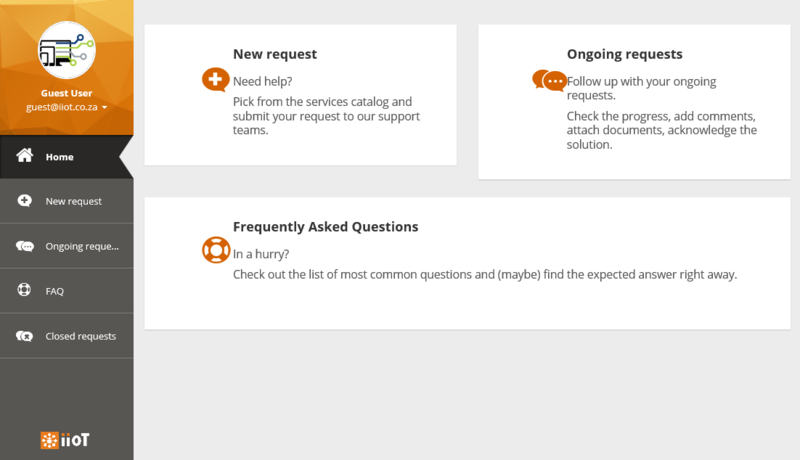 Using the portal, you can: Add a new entry to the journal of the request, to further explain your need or to answer a question from the support team. 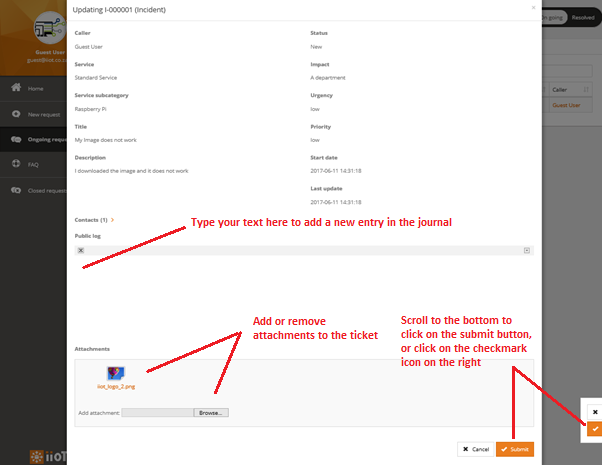 • Attach new documents to the ticket. 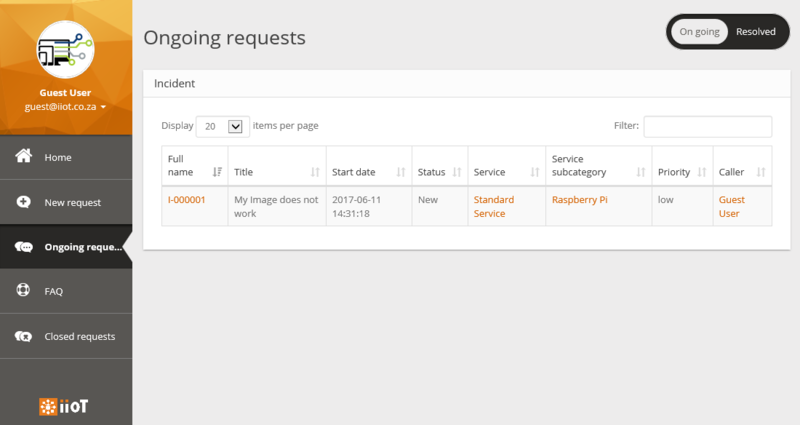 • Re-open a "resolved" request (if you are not satisfied with the resolution).